Recruiting Night is May 1st! 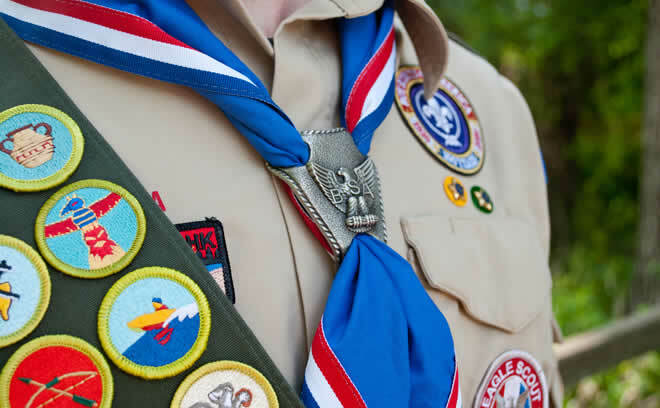 To join Scouts BSA Troop 728, a boy or girl must have finished the 5th grade, earned the Arrow of Light Award or be between the ages of 11 and 18. 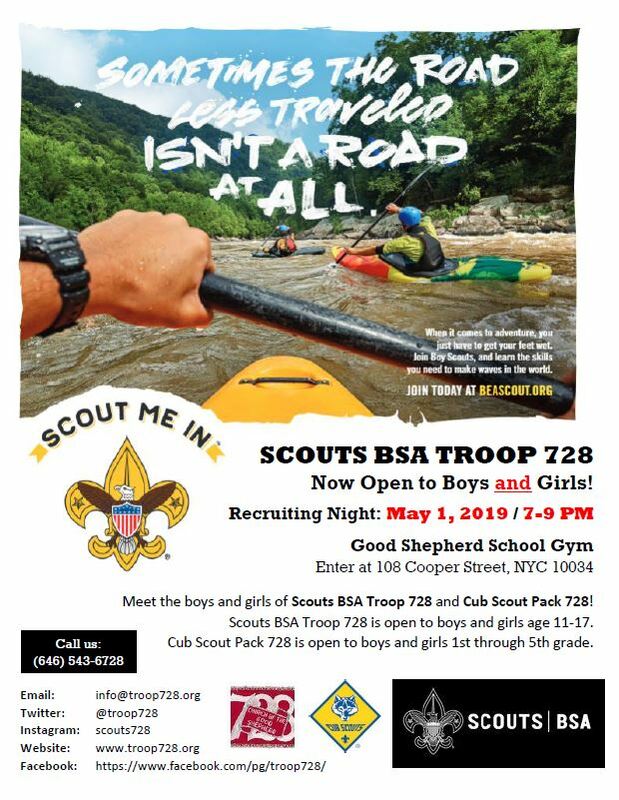 Weekly Meetings: Troop 728 meets Wednesdays from 7:00pm until 9:00pm from September through June at the Good Shepherd School Gymnasium, 620 Isham St. NYC 10034 (enter at 108 Cooper St, between 207th & Isham). Contact (646) 543-6728. We ask that all Scouts be on time, and wear full uniform and bring the Scout Handbook. Our most recent summers have taken us white-water rafting, mountain climbing and week-long camps. Every year we try to squeeze in caving, biking, hiking, canoeing rock climbing, wilderness survival camping, outdoor cooking competitions, rifle and shotgun shooting events, and orienteering.